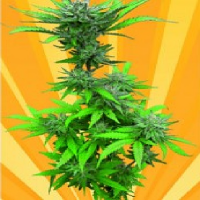 LA Widow is a type of cannabis plant that was created by crossing Bubba Kush and White Widow. 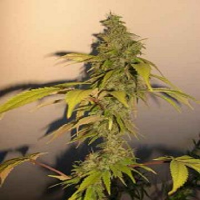 LA Widow Feminised Marijuana Seeds by Kera Seeds: LA Widow is a type of cannabis plant that was created by crossing Bubba Kush and White Widow. The composition of LA Widow is 25% Sativa and 75% Indica. Thanks to its White Widow component the LA Widow is a plant that’s easy to grow and gets up to a medium height. 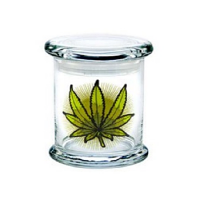 The influence of Bubba Kush can be found in the relaxing, narcotic and long lasting effects. LA Widow is very popular among people that suffer from insomnia and stress. Thanks to its White Widow component the LA Widow is a plant that’s easy to grow and gets up to a medium height. The plant becomes shrub-like, with broad serrated leafs overlapping each other. It doesn’t need too much attention, which is good, because once you’ve smoked it, you won’t be able to anymore. LA Widow can be grown indoors and outdoors. When grown outdoors it can be harvested in October. The blooming period of LA Widow is 8 to 9 weeks. Once it’s reached the end of its blooming period it’ll start showing some lovely colours.